Deliveries to Europe (delivery fee starting from 119 €) and around the world, straight from the factory. Home deliveries also available, check the Web Shop for more information. We are looking for new dealers. 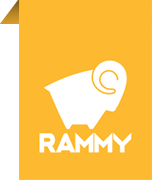 Please contact us if Rammy products are suitable for you.